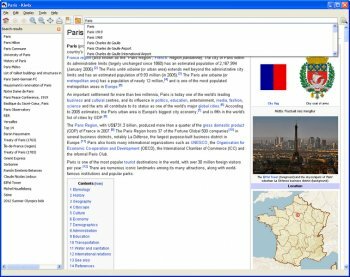 Kiwix is an offline reader for Web content. 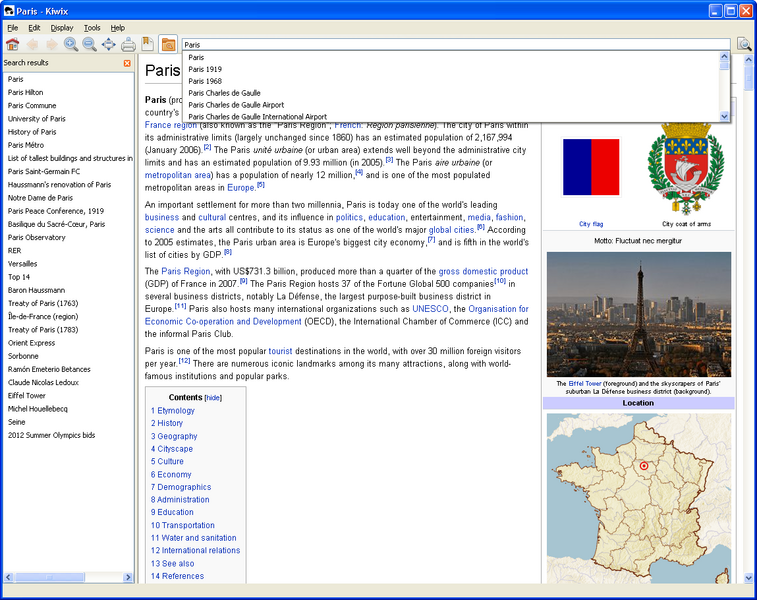 It's especially intended to make Wikipedia available offline (see features). This is done by reading the content of the project stored in a file format ZIM, a high compressed open format with additional meta-data. Kiwix is a free software (GPL3), that means you can freely copy, modify and spread it.